Shiite rebels in Yemen fired a ballistic missile toward the holy Muslim city of Mecca overnight, Saudi Arabia has said, the insurgents’ deepest strike yet into the kingdom amid the country’s stalemate civil war. Rebel media in Yemen said the missile targeted an international airport in Jiddah, though Saudi Arabia said it was “intercepted and destroyed” 65 kilometres (40 miles) from Mecca, which is home to the cube-shaped Kaaba that the world’s Muslims pray toward five times a day. The missile launch shows the capability of Yemen’s Shiite rebels, known as Houthis, and their allies to continue to strike Saudi Arabia. It also drew the immediate anger of Saudi citizens, as the protection of Mecca is a key pillar of the Saudi royal family’s prestige and the country’s national identity. The Saudi military said the missile, fired Thursday night from Yemen’s northwestern Saada province bordering the kingdom, caused no damage. The Saudi military has a supply of US-made, surface-to-air Patriot missile batteries it previously has fired at Houthi-launched missiles. The military said in a statement carried by the state-run Saudi Press Agency that it immediately targeted the area where the missile was launched in airstrikes. 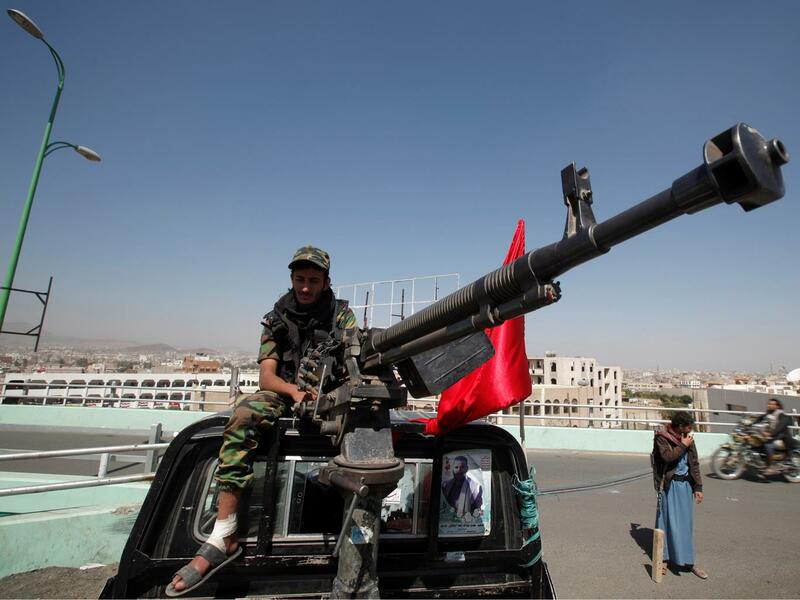 The Houthis and their allies, including forces loyal to former Yemeni President Ali Abdullah Saleh, have a stockpile of Soviet-era Scud missiles and locally designed variants. The Houthi-controlled satellite news channel Al-Masirah published a bulletin saying its forces had fired a Volcano-1 variant missile at Jiddah’s King Abdulaziz International Airport, without mentioning Mecca. That airport is 75 kilometers (45 miles) northwest of Mecca. The Houthi-controlled SABA news agency said the missile “directly hit” the airport and caused massive destruction. There were no immediate delays or diversions affecting the airport Friday. A Houthi ballistic missile fired earlier this month targeted Taif, home to Saudi Arabia’s King Fahd Air Base, which also is near Mecca. Yemen, on the southern edge of the Arabian Peninsula, has been in the midst of a civil war since September 2014 when the Iranian-backed Houthis swept into the capital of Sanaa and overthrew the country’s internationally recognised government. In March 2015, a Saudi-led coalition of Arab countries began a military campaign against the Houthi forces, saying its mission served in part as a counterbalance to Iran’s influence following its nuclear deal with world powers. The Saudi-led campaign initially had the logistical and intelligence support of the US, but mounting civilian casualties from its airstrikes led to America pulling back, especially after a Saudi strike earlier this month on a funeral in Sanaa killed some 140 people and wounded over 600. The U.S. also fired Tomahawk missiles at mobile Houthi radar sites after reporting its warships came under fire in the Red Sea near the crucial Bab al-Mandeb strait. In recent days, two commercial ships reportedly have come under fire in the same area.